This product is also remarkably effective for fine and or thinning hair, as well as for touching up gray between colorings. Your hair will look fuller and you'll feel as wonderful as you look! 100ml spray. Wash hair with your favorite shampoo. Be sure not to use a conditioner or conditioning shampoo. Completely dry hair and scalp. A hair dryer may be used. Brush or comb hair to be sure it is free of tangles or knots, leaving bald or thinning area exposed. 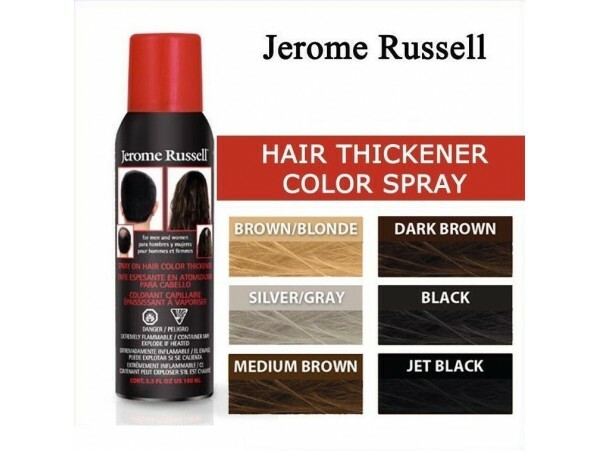 Apply Hair Color Thickener to the area by holding the can nozzle about 6" away and spraying until hair and skin tone match. 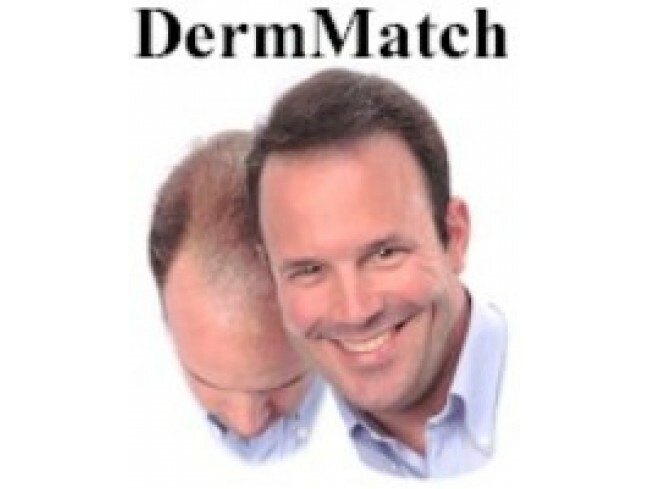 Spray the hair around the thinning area and blend. Allow area to dry and repeat if necessary until desired coverage is achieved. When hair and scalp are completely dry, use a coarse brush to very gently brush hair into place over thinning area. Your newly sprayed hair and scalp give the illusion of a thicker, fuller head of hair. To complete your transformation, just spray with ordinary hair spray (from 10-12" away). 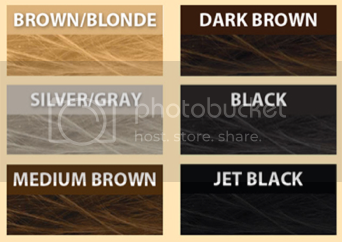 This will not only keep your hair in place, but also hold Hair Color Thickener in your hair until it is washed out. To remove, simply wash hair as you normally would.